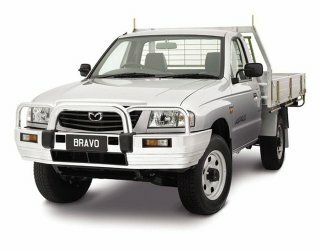 The Stratos 3000 LTSS Light Truck Suspension Seat is a popular choice for the Mazda Bravo B-Series. Featuring our patented low profile suspension mechanism, the LTSS can reduce vibration and is recommended by many occupational therapists for people with an existing back injury. Another popular choice is the Stratos 3000 LS Sports seat with extendable front base cushion or the Stratos 3000 Compact Orthopedically designed seat. A number of pre-built fitting kits are also available for this vehicle (refer to the chart below).